Port Blair. 13 March 2018. All in all a well conceived , meticulously executed and mission fulfilled MILAP of Navies in the region and beyond. 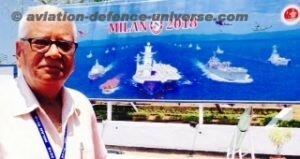 Exercise Milan 2018 not only reinstated India’s position in the waters of the region but also emphasised its strength and friendly relationship with countries in the Asia-Pacific. 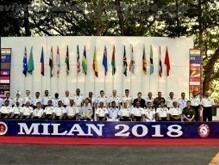 Ex Milan 2018 was conducted at Port Blair with great fanfare. 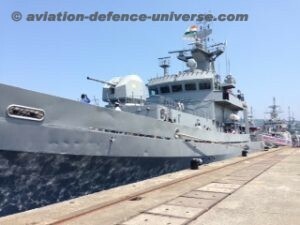 Besides Indian Navy, there were Naval Commanders, ships and crew from littoral countries and beyond. 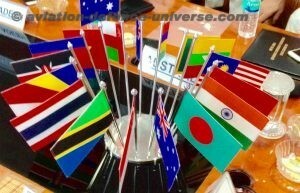 Though 23 countries were invited but only 16 participated. Australia,Bangladesh,Cambodia,Indonesia,Kenya,Malaysia,Mauritius,Myanmar,New Zeeland, Oman, Seychelles, Singapore, SriLanka, Tanzania, Thailand and Vietnam participated. Seven countries brought a total of 11 naval ships. The best site was when the ships were visited by the families of tri service command and the civil populace of Andaman Nicobar Island. Some countries even brought their artefacts for sale. The visitors were entertained with cold water, juices and snacks which was welcome in the hot and humid weather prevailing in Port Blair. Talking of the theme, it was achieved in Toto. All ranks and files of the foreign navies were appreciative of the warm hospitality extended by them. They also stated that this event has further fostered the cooperation in the region. The seminar was addressed by eminent speakers. The Table Top Ex was taken very seriously by one and all. During the Press conference the CNS Admiral Lanba brought out the history of Milan, gains of this exercise and the future plans. 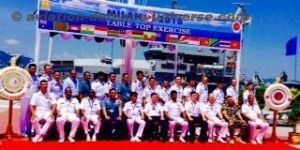 He surmised that more nations would be invited next time and the lessons which would be learnt from Ex MILES being conducted here from 11 th to 13 th March would expand its scope during the next MILAN. On being questioned about the strength of Chinese Navy and any likely misadventure he stated that the Chinese started deploying their ships in 2008 .Initially three ships were deployed by them to counter piracy. Since 2013 two submarines are deployed and a survey ship to carry out hydrographic survey. In all six to eight naval ships are deployed by China. 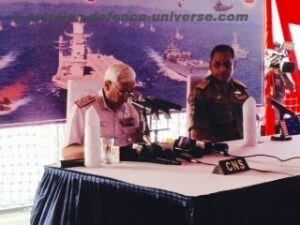 He categorically assured the nation that sea lines of communication are safe and secured by the Indian Navy and there is no threat or problem in Indian Ocean. He further reinforced that our Navy is fully prepared for all the eventualities. He also mentioned that cordial relations exist between China & India and dialogues take place when anti-piracy patrols are conducted by either in the seas. On the infrastructure development in Andaman’s – per say – he stated that though the progress is slightly slow as per the perspective plan but going ahead .The runways would be extended to accommodate larger aircrafts, more ships on need base would be brought in and jetties augmented. On Act East Policy he mentioned that we have close relations and regular dialogues with ASEAN countries and Australia. He added that patrolling, joint training and Staff talks are regular features amongst these Navies. The initially planned ‘Under Water Human Chain ‘could not be organized due the presence of crocodiles in the area. Some programmes were organized to entertain the foreign Navies and local populace of Andaman’s viz Musical Evening, Cultural Programme, Food Fest and International City Parade which was a great attraction. The Parade was preceded by a display of Para Motors from the Army Adventure Cell , Dare Devils of the Corps of Signals show cased their expertise on the age old despatch Rider’ motor cycles and the Mazurkas of our Navy gave a captivating demonstration of destroying an oil tanker and a successful rescue mission and finally dousing the fire by helicopter based fire fighters . 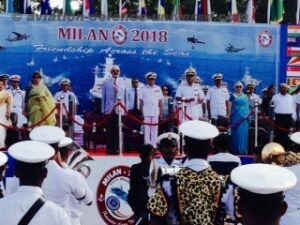 Thereafter all the Navies’ contingents participated and marched past the distinguished audience which included Admiral Joshi, the Lt Governor , CNS ,and the top brass of Tri Services Command and civil dignitaries. Besides the Army, Navy, Coast Guard and Police band the School girl’s band was much appreciated by one and all. 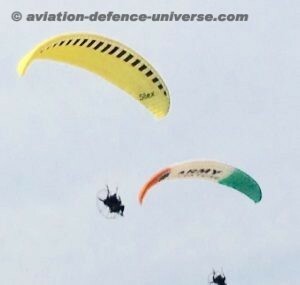 It was the first time that the Air Warriors of Indian Navy displayed their skills. Three tableaus also formed part of the event. On the side – lines of the main event a Golf Tournament was organised for the foreign Navies where CNS showed his concentration, strategy and grit and won the tournament. Exercise MILES was conducted with the foreign Navies on high seas from 11th to 13th March. This provided an opportunity to test the efficacy of their plans made during Table Top Ex as also learn good practices from one another.